Former Co-Directors Of Together for Yes have reacted to their inclusion on the ‘TIME 100’ list alongside the likes of Michelle Obama and Sandra Oh. The former Co-Directors of Together for Yes, including former NXF chair Ailbhe Smith, have said they are “honoured” to be included on the ‘TIME 100’ list, TIME Magazine’s annual list of the 100 most influential people in the world. 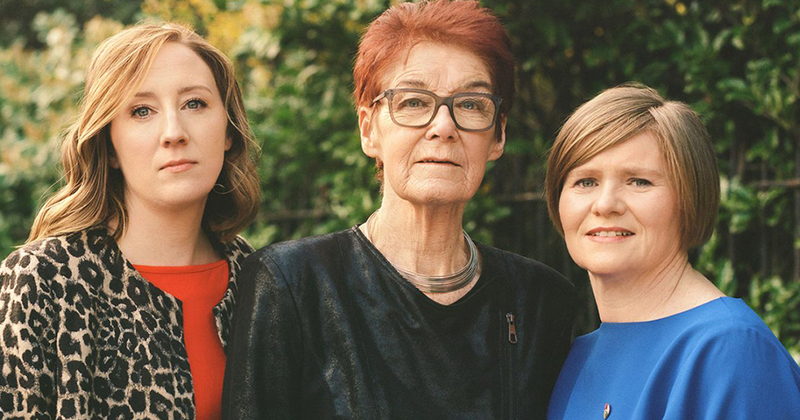 Grainne Griffin, a founding member of the Abortion Rights Campaign; Orla O’Connor, Director of the National Women’s Council of Ireland; and Ailbhe Smyth, Convenor of the Coalition to Repeal the Eighth Amendment, appear on the 2019 list in recognition of their work leading the Together for Yes campaign last year. Commenting today (April 17), Ailbhe Smyth said: “We are honoured to receive this accolade from TIME Magazine. It is evidence of the significant international ‘ripple’ impact of the Together for Yes campaign. The referendum result here in Ireland was a real boost for the morale of pro-choice campaigners throughout the word; and we hope it can be a beacon of light wherever and whenever abortion rights are denied, restricted or under severe threat. “As a small country on the edge of a rich, powerful continent, our voice is not loud. But last year’s referendum showed just how far it can reach. In repealing the Eighth Amendment, Ireland bucked a trend. In countries like the USA, Poland, and even Germany, we are seeing the backlash against women’s reproductive rights intensifying. My hope is that our global recognition by TIME helps inspire those fighting for reproductive rights worldwide. Orla O’Connor said: “The women’s movement in Ireland was at the centre of change nationally, in an emphatic manner that has been felt around the world, and this award is an important recognition of that. Building on 35 years of work, Together for Yes placed women’s voices and experiences at the centre. The Eighth Amendment was a cruel and restrictive law and, through the honesty and the lived experience of women and families who suffered, the Irish public listened. “This was a moment in time when, led by women, our nation collectively stood up, and rejected a cruel past, where thousands of women were subjected – unnecessarily – to ill-health, shame, distress and judgement.